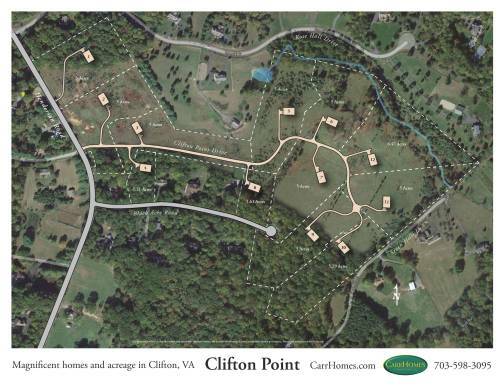 Clifton, Virginia — Just off Henderson Road in the prime equestrian region of southwest Fairfax County, CarrHomes has started sales on 12 grand homes, ten of which are sited on five+ magnificent acres bordered by woodlands. 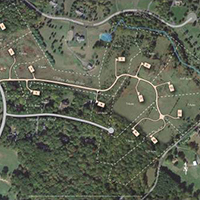 With up to 6,000 sq. feet of space the five models offered will each include a three-car garage, and feature high, 9-11′ ceilings on the lst and 2nd floors. The large open chef’s kitchens, a CarrHomes trademark, will showcase stainless steel appliances and rich granite countertops. For families looking for more space these four-bedroom, three-and-one-half bath residences can be fully customized on the main level with additions such as a rear morning room off the kitchen, a sun-splashed side conservatory and and/or an extended family room.